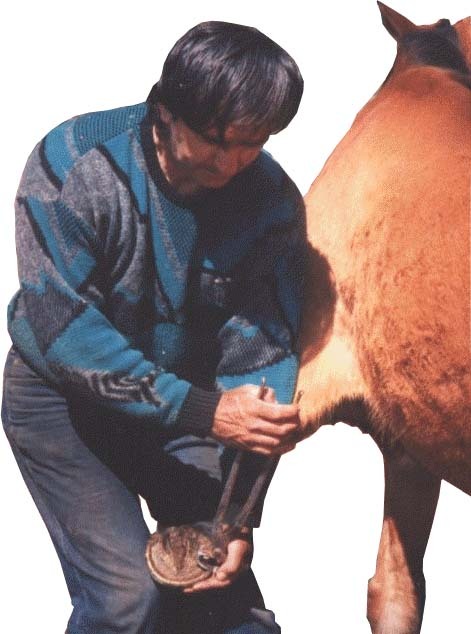 ..As shown in the picture, the front foot of the horse is held between the farrier's knees. The horse's foot is then easily worked on, 'click here' to view the front foot on a foot stand. Much more is explained in the "How to trim your horse" video.